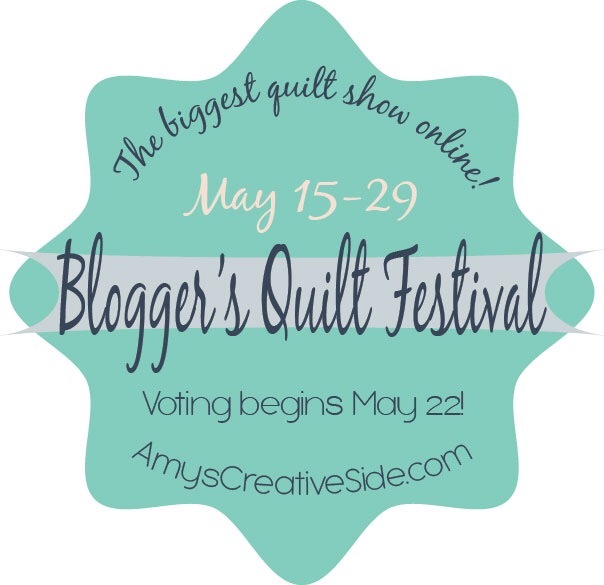 I decided to enter two quilts into the Spring 2015 Blogger’s Quilt Festival over on Amy’s Creative Side website. If you are visiting my blog from the festival link, thank you so much for your time! 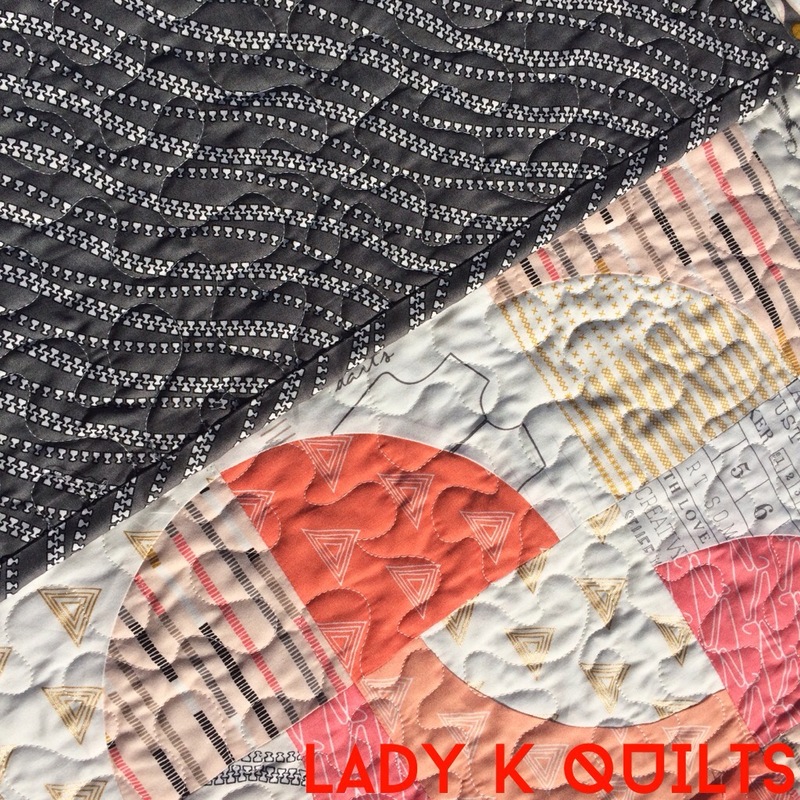 The second piece I am submitting to be voted in the Original Design category is a quilt I designed for Fat Quarterly‘s Curved Piecing issue this spring. I named it “A Maker Lives Here” because of how I use the quilt and the fabrics I made it out of. 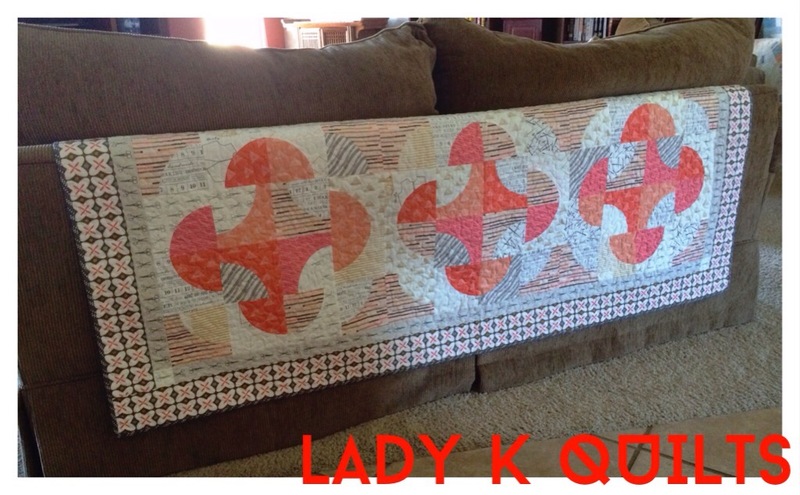 In our family room our large couch has it’s back exposed so I like to cover it with decorative quilts. 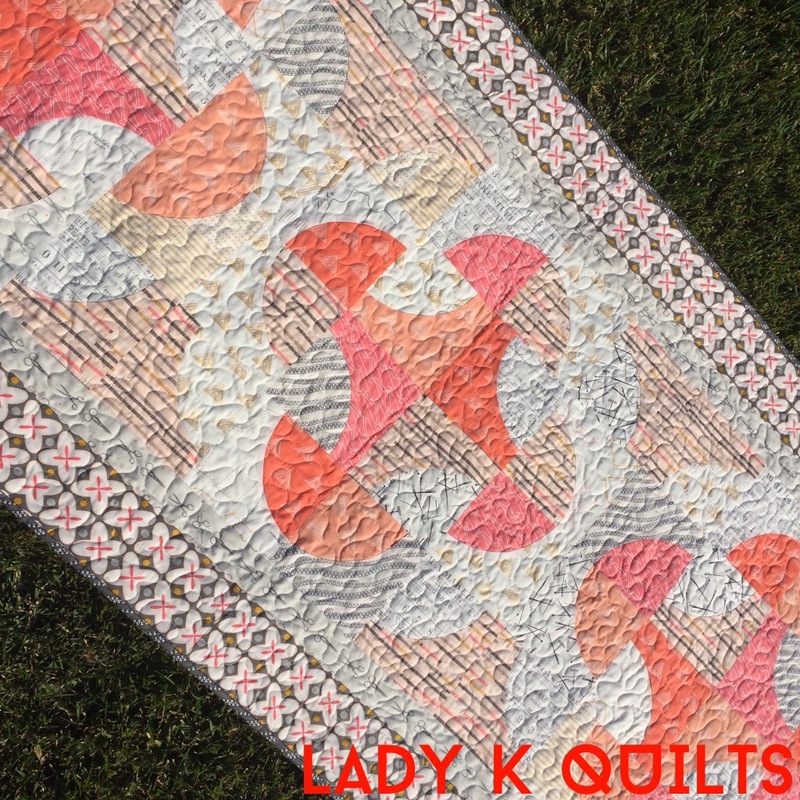 They aren’t traditional shaped quilts, they’re more like oversized table runners. 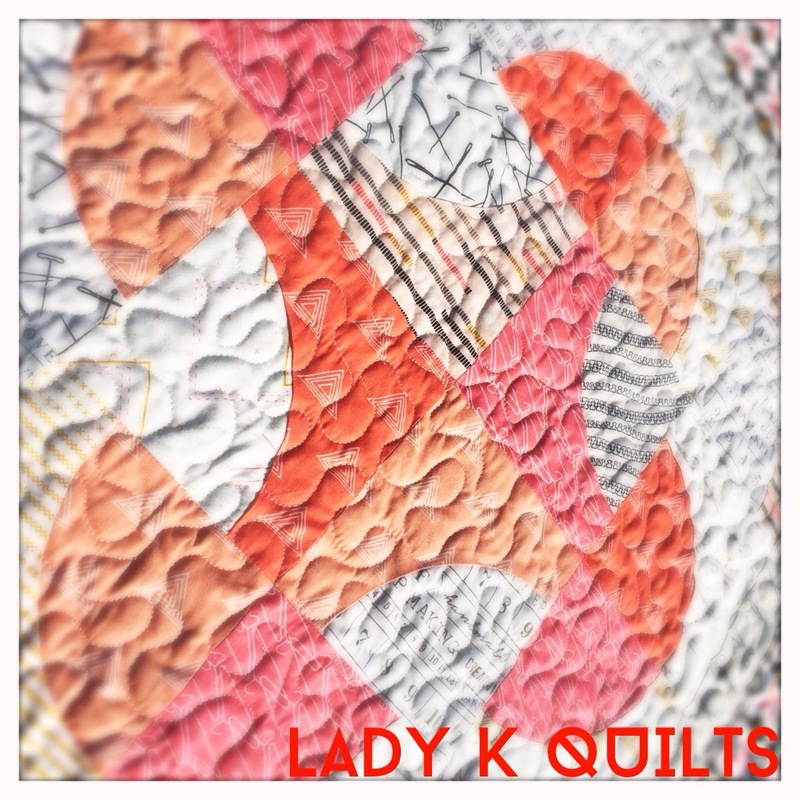 I love large quilt blocks, and was inspired to design something that would showcase the remarkably beautiful “Maker” collection from Art Gallery Fabrics.. 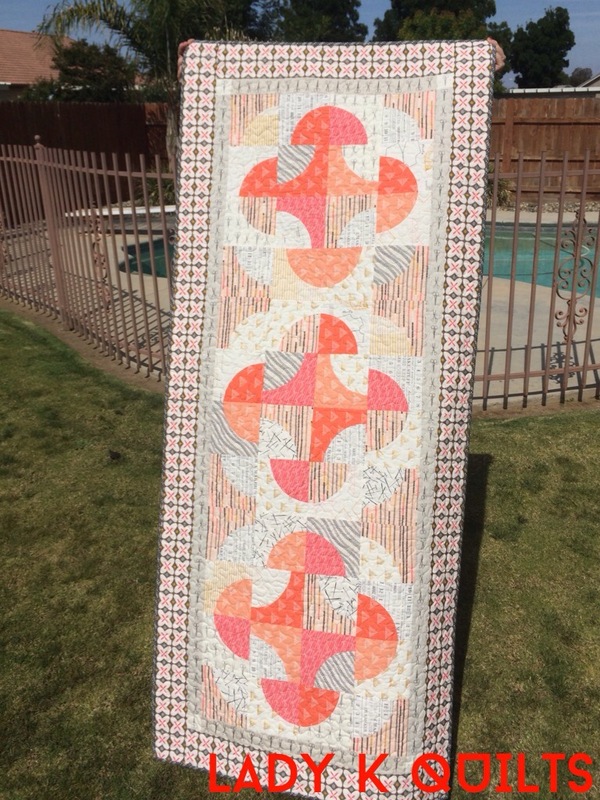 Thanks to Jessica of Sew Many Creations’ “Pathways Ruler” I recently fell in love with curved piecing. The ruler makes cutting the “pie” and “crust” shapes out so much easier, and not to mention much more safely than other templates on the market. . Selecting fabrics is one of my favorite parts of making projects, and this time around was no exception. 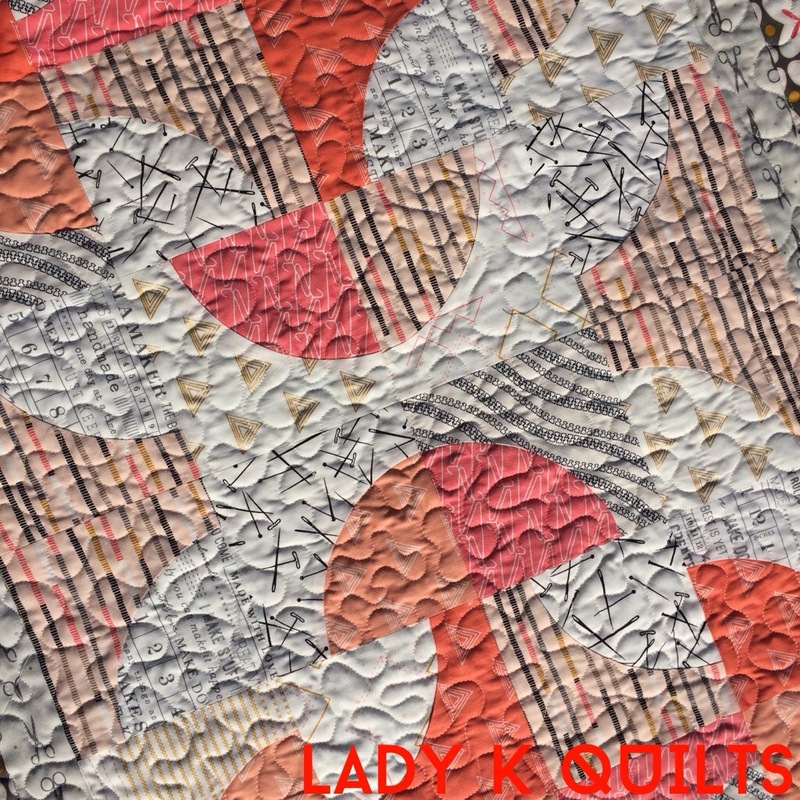 I chose to use the low-volume fabrics in the “Maker” collection, and pair them against the pink and peach fabrics in also in the collection as well as white and coral fabrics from Art Gallery Fabrics’ Prisma Elements line. I went for a “controlled scrappy” look in my design and I’m pleased with the result. Using an assembly line process to piece the units needed to build the 20″ blocks, made for fairly swift assembly, considering all the pinning I do when making curved pieced units. Thank you again for checking out my quilt. I hope you will take a moment to check out my other submission to the festival HERE.